I guess you can say a jumpsuit is an adult onesie, no? I have a love-hate relationship with them. 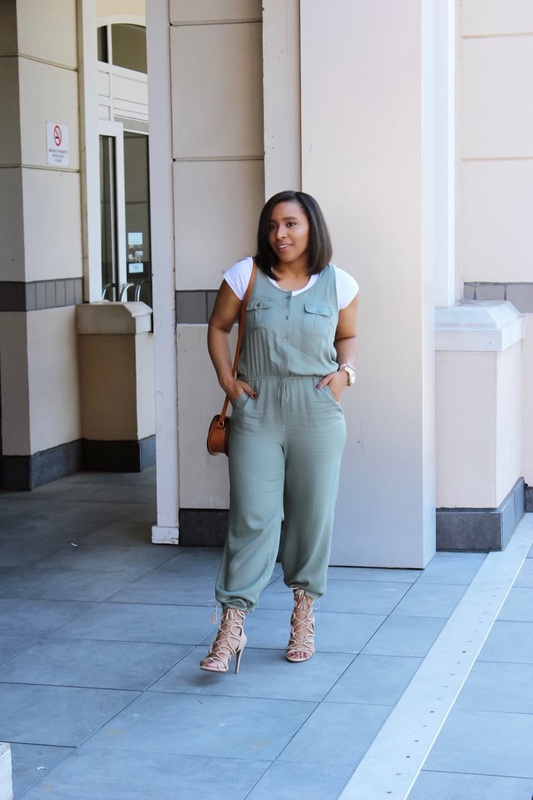 Sometimes, it's hard for me to find one I don't have to hem or cuff.#shortgirlproblems The jumpsuit in today's style post I kind of just took matters into my own hands. I scrunched them and tied my strappy sandals around it. I really ended up loving the whole baggy feel on the bottom. I got so many compliments on these strappy heels when I posted a photo on Instagram. They are so comfortable and I love love love the strappy style. This jumpsuit was a steal and it's currently still on sale for less than $15! Below I linked 10 jumpsuits I'm currently loving and they are all under $40. Let me know which one is your favorite! Happy humpday! As always, thanks for stopping by. Yo amo los enterizos, creo que son el básico favorito de mi armario, después de los vestidos en verano. Las fotos preciosas y tu divina mi hermosa. Im obsessed with jumpsuits!!! i LOVED this one! its so prettyyy. Looks super fresh and comfortable. As usual .. love love loveee the shoess!